You may not have heard of MDMA, but chances are you’ve heard of “Ecstasy” or “Molly.” These are one and the same. They refer to a recreational drug, an amphetamine derivative that has the chemical name 3,4-methylenedioxymethamphetamine, and acts as a stimulant and hallucinogen. It causes euphoria and feelings of empathy with others. It also heightens sensations, intensifying the experience of colours and sounds. This explains why MDMA, as Ecstasy, is very popular at raves, dance parties, concerts and music festivals. How MDMA works is it increases the activity levels of three major neurotransmitters in the brain: dopamine, norepinephrine and serotonin. An increase in dopamine causes a “high” or euphoric feeling, and it also boosts the person’s energy levels. Norepinephrine, meanwhile, causes the heart rate and blood pressure to rise. This can be dangerous if the person has a heart or cardiovascular condition, as it makes him more prone to a stroke or heart attack. Norepinephrine further makes the person more alert, awake and focused. Finally, serotonin, which is also known as the “happy hormone,” has many effects. First, it further magnifies the euphoric mood. Second, it induces empathy and feelings of emotional closeness with other people. And third, it increases appetite and sexual arousal, lowers inhibitions, and makes the person more trusting and less guarded. Ecstasy or Molly is most popular among young adults aged 18 to 25. It is usually taken in capsule, pill or tablet form, but it can also be swallowed as a liquid, snorted in powder form, or smoked. The pill form comes in different shapes and colours, and it is the preferred form of the majority of recreational users. Molly is marketed as pure MDMA; in fact, the name “Molly” is shorthand for “molecular.” But pure MDMA is actually a rarity. What people get to buy are capsules or powder composed of MDMA mixed with other drugs such as ketamine, cocaine or methamphetamine. At times, cough medicine and synthetic cathinones also get mixed in. The uncertainty of what’s actually in the pill can make the drug more dangerous, particularly for people with certain medical conditions. 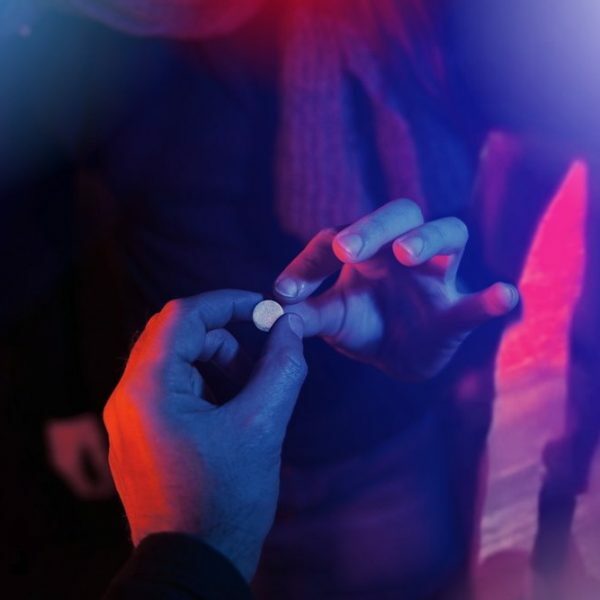 To further complicate matters, some users not only take MDMA, but they also drink alcohol and use marijuana (or other drugs) at the same time. Following the intake of MDMA, its effects can last between three to six hours. But many users immediately take a second dose, and then another, to maintain their high. While it lasts, the high can be accompanied by other, less pleasant, side effects, such as muscle cramping, nausea, chills and sweating, blurred vision, and uncontrolled clenching of the teeth. Research is still ongoing into unearthing how addictive MDMA is. What is certain though is that prolonged and excessive use can lead to severe consequences, some of which can be fatal. Vital organs can be adversely affected, especially the kidney, liver and heart. Moreover, drug use can also lead to being infected with HIV, hepatitis or other sexually transmitted diseases. The user becomes highly susceptible to these infections because the drug suppresses sexual inhibitions and stimulates promiscuity. If you or someone you know is struggling with MDMA usage, we can help. Click to learn more about our drug addiction treatment centre.